The trend towards outsourcing laboratory work over the last three decades has been steep. In recent years, this move to a near-universal outsourced lab model has run concurrent with the shift towards data-sharing across and between organizations. Data sharing increases collaboration and speeds up time-to-result, but it has also been driven – at least in part – by the increasing importance placed on data by regulatory bodies. Undeniably, the need for sharing information outside the firewall today is very real. 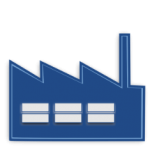 But when it comes to LIMS, it can also have big implications for current on-premise installations. That’s why for many laboratories, moving their LIMS to the cloud is an important – and big – decision. On-premise architecture is often time-consuming and costly to implement and manage. Internal IT must spend significant time managing infrastructure. When integrations are made outside the organization’s firewall, the IT management becomes even more complex. With increasing emphasis placed on data sharing, receiving large amounts of data from multiple external sources can cause significant workflow headaches. Each role within the organization’s IT chain – from CIOs to Lab and QA managers & directors to LIMS administrators – have shared the frustration of dealing with on-premise systems that fail to support the scalability required to solve their specific business needs. These challenges with on-premise systems cross industries and represent a wide variety of sectors – pharma, food & beverage, oil & gas, diagnostics, and others. While the cloud may not be a remedy to every IT challenge a company may face, it’s certainly playing a growing role in solving many issues. Market intelligence firm IDC sees cloud-based spending being at least half of the IT spending in 2018, reaching 60-70 percent of all software, services, and technology spending by 2020. In fact, the role the cloud plays in LIMS today is often a matter of platform design. Software licenses may be owned by customers or vendors. Customers may purchase perpetual licenses, or simply subscribe to use the LIMS. Virtualized hardware may be managed by the customer or by the vendor. As these distinctions affect everything from licensing to deployment and accessibility, buyers should be familiar with these various characteristics of cloud-based LIMS. What are the key differences between the various LIMS options? Here are descriptions of On-Premise LIMS, Managed Cloud LIMS, and LIMS SaaS to help you understand what the right solution is for your company. On-premises software is purchased, installed and run on computers located on-site at the organization’s facility. For example, a customer purchases LabVantage and installs it on their own servers, rather than at a remote facility (e.g., server farm or cloud). Managed Cloud is an infrastructure management model. The LIMS software is purchased, but the installation of the software occurs on virtual servers managed at remote facilities (data centers). For example, A customer purchases LabVantage and has it installed on LabVantage’s AWS servers. The customer accesses the LIMS install through a secure connection and isn’t involved in infrastructure management. 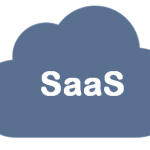 Cloud-Software as a Service (SaaS) is a software licensing and delivery model in which the software is licensed on a subscription basis and is normally hosted by the software publisher. This is sometimes referred to as ‘on-demand software.’ For example, a customer can subscribe to LabVantage SaaS, and accesses it through a secure connection. The software and infrastructure are both owned and managed by LabVantage. Are you struggling to determine whether your lab should use on-premise LIMS software, Managed Cloud or Cloud SaaS? Contact LabVantage today to discuss your needs and figure out the best solution for your company.